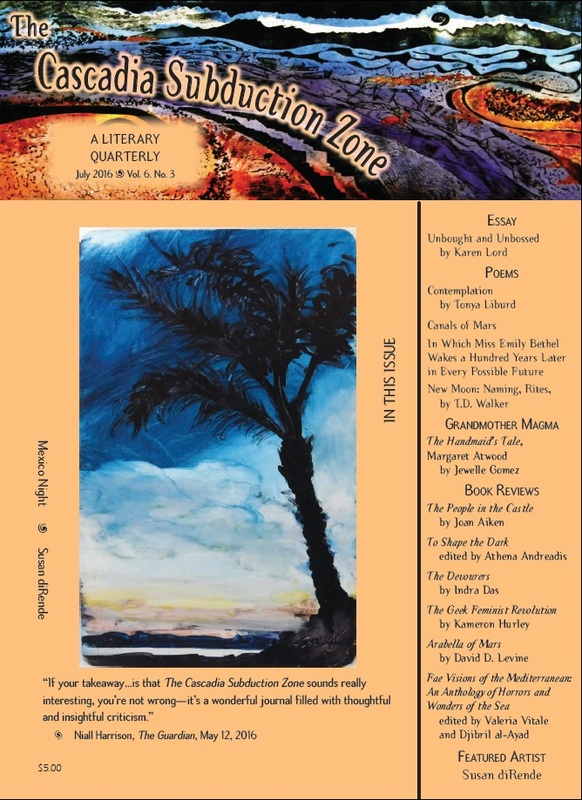 The new issue of The Cascadia Subduction Zone is out! 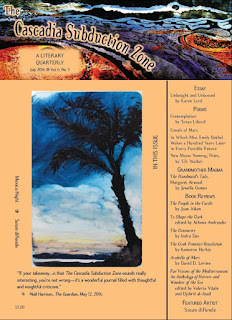 This issue opens with an essay by Karen Lord, "Unbought and Unbossed: Jane Eyre, Wide Sargasso Sea, and Amaryllis Collymore." The issue also includes poetry by Tonya Liburd and T.D. Walker, a Grandmother Magma column by Jewelle Gomez, and reviews of six new books; the issue's featured artist is Susan diRende (who is also the author of Unpronounceable, a novella in Aqueduct's Conversation Pieces series). If you're not already a subscriber, you can subscribe or purchase the issue here.